Finding the perfect brunch spot is hard work. Especially in a city you’re discovering for the first time. But once you find a spot, or two or three, you’re set. In a world where brunching is a habitual weekend pastime, and in a city where food & drink options are endless, my first challenge as #erineatsboston was to find a spot for brunch on a Sunday morning. The challenge begins with first deciding on a location. The Greater Boston Area is defined by unique neighborhoods and squares, each with their own distinct vibe and restaurant options. South Boston (Southie) is full of #InstaWorthy brunch spots, as is Back Bay, and Cambridge. But seeing as sometimes convenience is key on a Sunday morning, we opted with Cambridge for a quick and easy commute. 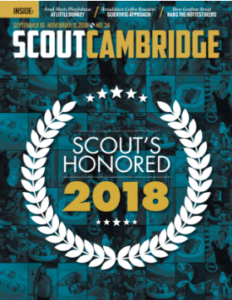 Luckily, I recently picked up the latest edition of Scout Cambridge Magazine, which just so happened to be the ‘best of’ issue complete with a number of superlatives including best brunch, best breakfast, and best restaurant overall. I’ve found that one of the easiest ways to find out what’s going on in a city is to pick up any free local magazine or newspaper. They’ve always got the inside scoop. Our “let’s go HERE!” moment came just over 12 hours before our brunch date was scheduled and it was determined that we would go to the Little Donkey (voted best restaurant overall) in Central Square. The planner that I am was anxious that we would not be able to dine without a reservation, and there were no longer any available online. Despite my concern, I’ve learned that if you don’t try you’ll never get anything, so we decided to wing it and were able to be seated right away. The menu at Little Donkey is designed for both tapas style meals (shared small plates), as well as individual dishes. 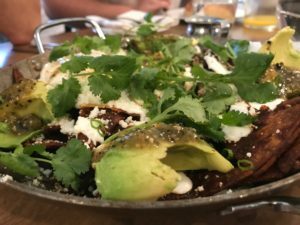 As a table we shared chilaquiles, which were none other than delicious, although the best way I can think to describe them is upscale nachos. 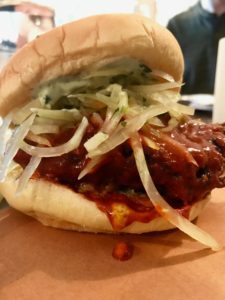 I went back and forth between trying something new and ordering the tantalizing fried chicken sandwich, and ultimately went with something different. 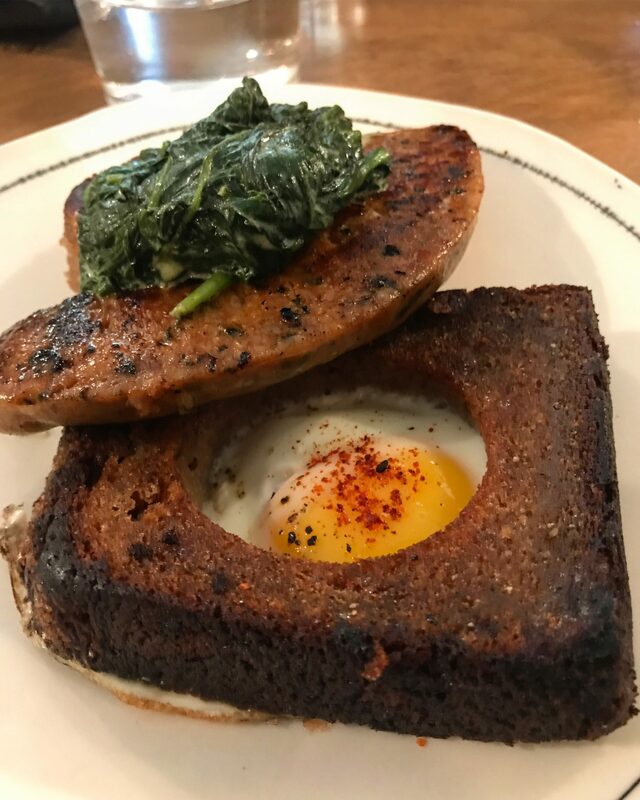 I present: Toad in a Hole, an over-easy egg cooked inside a slice of miso banana bread serve with habanero sausage and creamed spinach. It was a combination of flavors I wasn’t sure I would enjoy, but always trust your gut when something piques your interest! The moral of the story is that figuring out where to eat and what to order may be a challenge, but it the end, it’s always worth it. Looking for restaurants to add to your list? Don’t forget to follow along on Instagram!